I don’t know what it is about skirt steak, but I’m completely in love with it. If I spot it on a menu, or if it happens to catch my eye in the butcher’s meat case, I simply cannot resist it. For me, it ranks right up there with filet mignon. Filet mignon is wonderful and all, but skirt steak actually has more flavor. 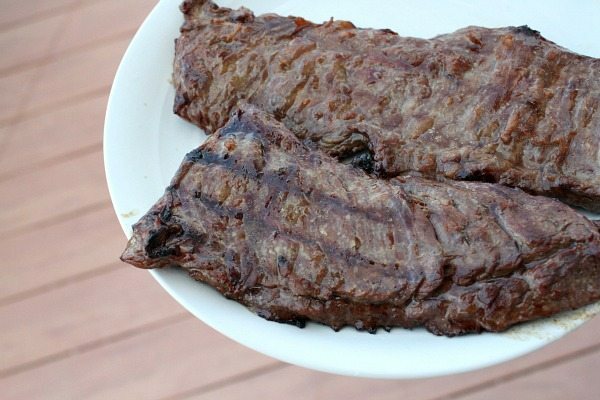 I also love the texture of skirt steak, and when it is marinated just right… it turns out so tender and flavorful. 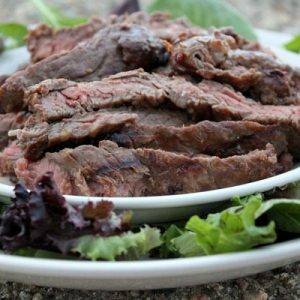 I’ve got a great marinade for you to try out on this steak (though you can use flank steak if you prefer that too). 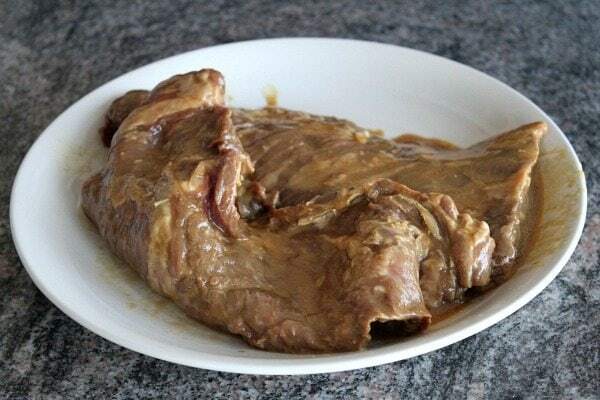 If there is any kind of membrane along one side of the meat, remove that by just pulling it off (sometimes it has already been removed for you). Other than having a little bit of molasses in the recipe, the marinade is not sweet. It’s a good combination of savory flavors that tenderizes the steak just perfectly. 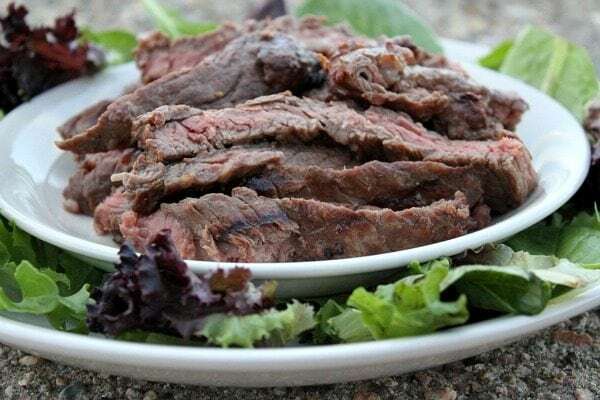 I love recipes like this because they are so easy- just throw all of the marinade ingredients in a zip baggie, add the steak, and let it sit for a few hours. Another awesome thing about skirt steak is that it cooks very quickly on the grill. Just a few minutes on each side, and the steak is ready to go! It’s always a good idea to let the steak rest for a few minutes before cutting into it. 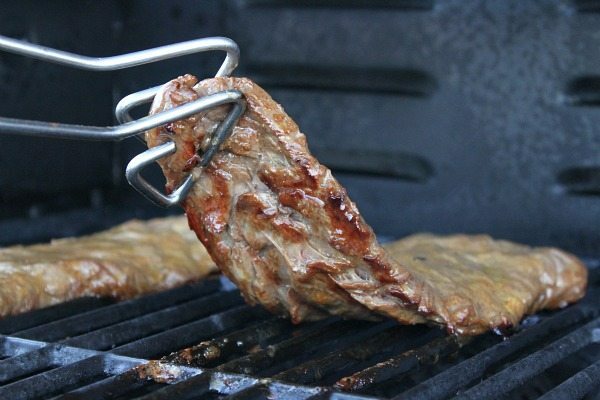 It allows the steak to cook a little more while sitting, and it seals the juices inside. The moment you cut into it, the juices will escape! After a good bout of resting, slice the steak against the grain. Thin slices are best. You don’t need sauce or anything because this marinade recipe makes it awesome on its own. I hope you enjoy this as much as I do! 1. Mix all marinade ingredients in a large zip bag. 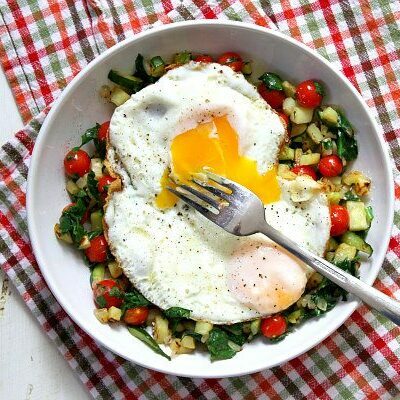 Smash the ingredients around to mix them together. Add the steak and marinate for 3 to 12 hours (zipped up tight and kept in refrigerated). 2. 15 minutes before grilling, remove the steak from the refrigerator and let it sit at room temperature. Preheat your grill to medium. Remove the steak from the marinade and grill 5 to 8 minutes per side (depending on how well-done you like your steak). 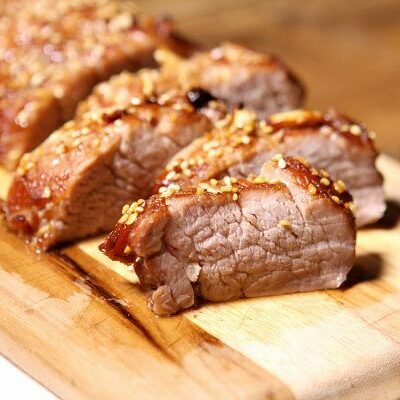 Remove from the grill and let rest on a cutting board for at least 5 minutes before slicing. Slice against the grain. Serve and eat! 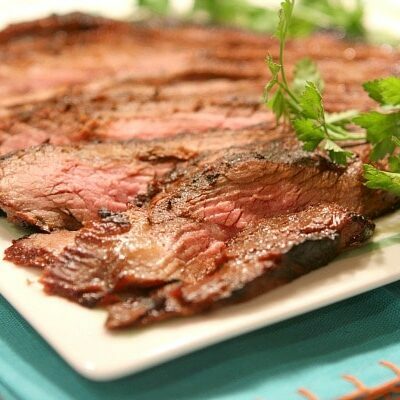 *You can substitute flank steak for the skirt steak with similar results. 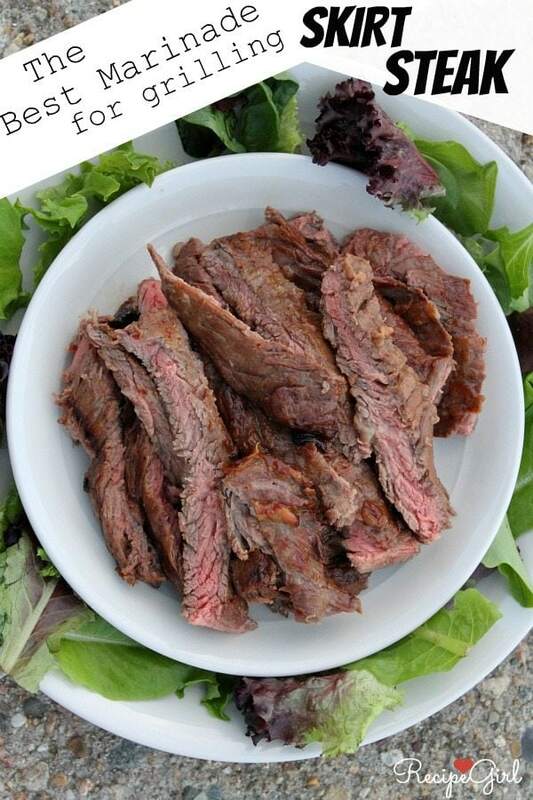 You may need to increase grilling times a little bit as flank is usually thicker than skirt. Fabulous marinade. Have always loved skirt steak and now that we spend winters in Key West, it is less expensive and plentiful due to the Cuban culinary influence. Highly recommend the marinade. Can I substitute honey or corn syrup? Don’t have molasses. I don’t think either of those will yield the same flavor. My wife and son said this recipe is a keeper!! !